This is one location that every Australian is familiar with and is definitely considered one of the country’s most coveted locations. This 2,300 km stretch of protected ecosystem encompasses thousands of individual reefs and hundreds of islands, making it an aquatic wonderland impossible to top. With an abundance of mesmerising marine life and coral systems that seem to blossom from the ocean floor, it’s very easy to see why this environment is a must for any aspiring diver. The Area is not only home to the beauty beneath the waters; it’s also paired with the glory of sun-touched beaches with glistening sand and crystal clear lagoons. With all this staggering natural splendour, the Great Barrier Reef has certainly earned its reputation as one of the planets most pursed destinations. Once you’ve arrived, the only downside is finding enough time to spend as much of your day in and around the coastline as you can. From whale watching or interacting with the marine life, cruise ship tours, heli tours and, of course – the pièce de résistance – snorkelling or scuba diving. 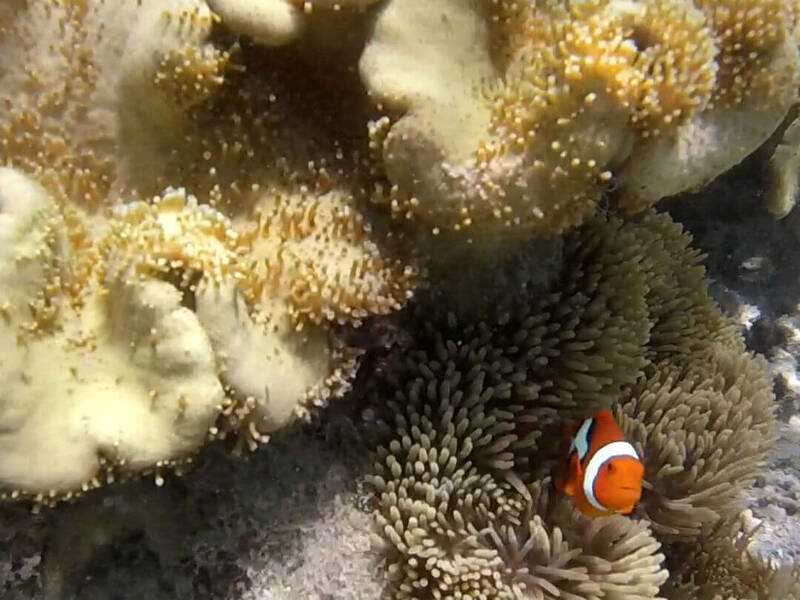 If Cairns is your next holiday destination, make sure you spend at least a little time on the Reef – otherwise you’ll miss one of the great wonders of the world. 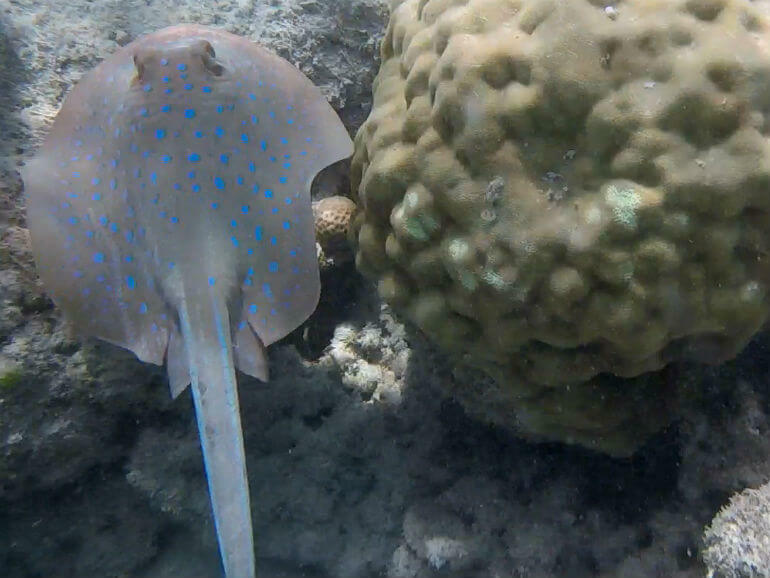 Check out our Cairns Reef tours selection and book your trip today! 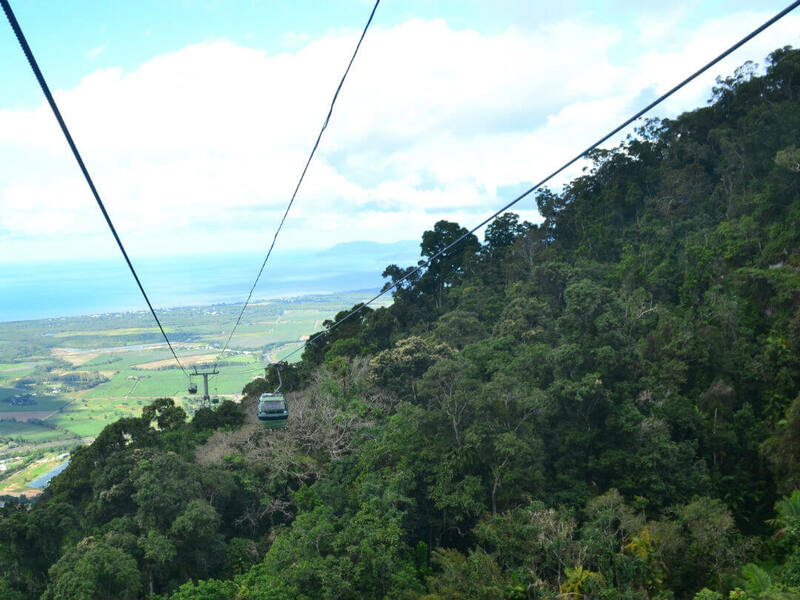 The Skyrail Rainforest Cableway is an absolute must-do when visiting the Cairns region. This exciting mode of travel takes you from Cairns – suspended high up over the emerald rainforest below – all the way to the quaint mountain village of Kuranda. For 7.5 kilometres, you’ll be awestruck as you glide just metres above the canopy of this World Heritage listed Tropical Rainforest in a comfortable regular or glass-bottomed gondola cabin. Along the way, you’ll be able to stop at two mid-stations to view the rainforest from different perspectives on a series of platforms and boardwalks and learn of this ancient wonder at the Rainforest Interpretation Centre. Upon reaching Kuranda, you’ll discover why this gorgeous little village is considered one of Tropical Far North Queensland’s most treasured locations. The warm village atmosphere is prevalent throughout the many attractions available, which include the Kuranda Markets, Birdworld, The Australian Butterfly Sanctuary and much more. 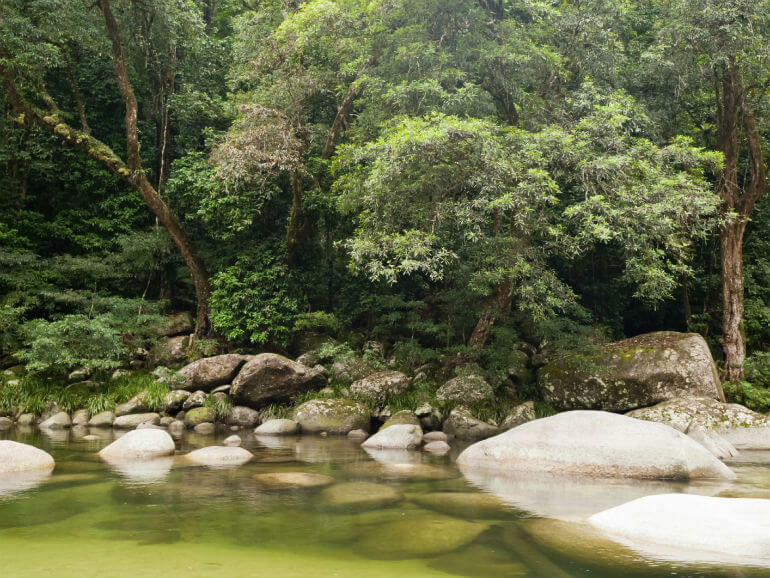 From Kuranda, you can explore the surrounding forest walks, including the mesmerising Barron Gorge. 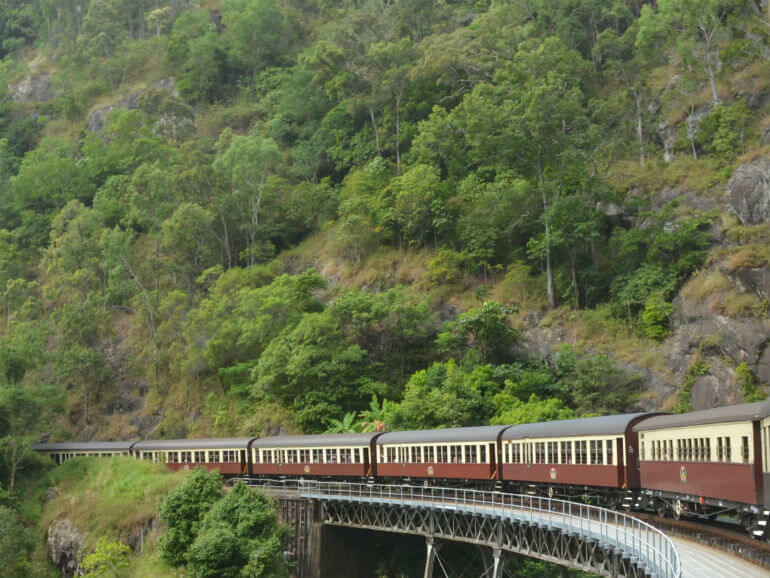 At the end of the day, you can opt to return on the Skyrail, or you can choose to take the delightful Kuranda Scenic Railway, which winds its way through thick, wildlife-filled rainforest – through tunnels and over scenic bridges – back to Cairns. You can book your Skyrail Rainforest Cableway online right now through Tours To Go, read our booking guide or tour review as well. 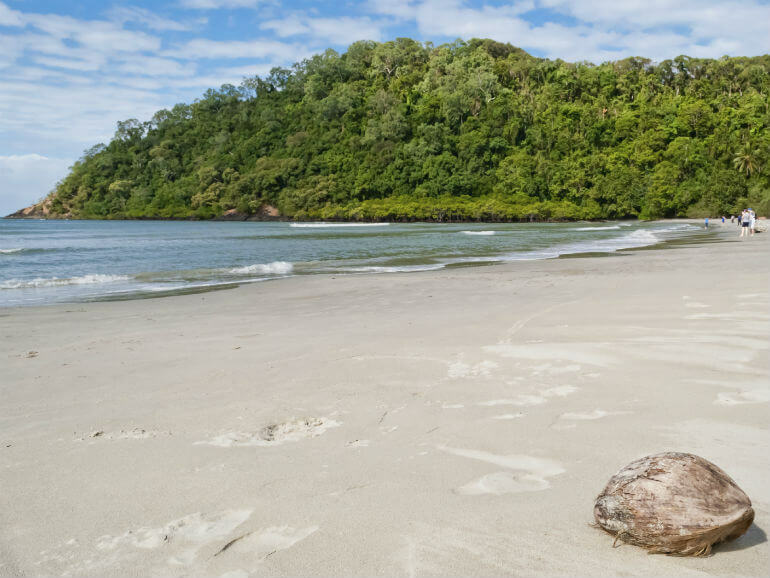 Nestled within the Daintree Rainforest, 110 kms north of Cairns, Cape Tribulation is one of the only places in the world where you can step out of a lush rainforest and straight onto a beach! This gorgeous headland offers visitors a number of accommodation options, from eco-lodges to resorts, hostels and camping sites, meaning that the wonders within this area are affordable and accessible to all. From ‘Cape Trib’, you can explore the Daintree’s numerous hiking trails, walk along the sweeping beaches in search of seashells and driftwood or immerse yourself into the underwater wonderland that is the Great Barrier Reef. 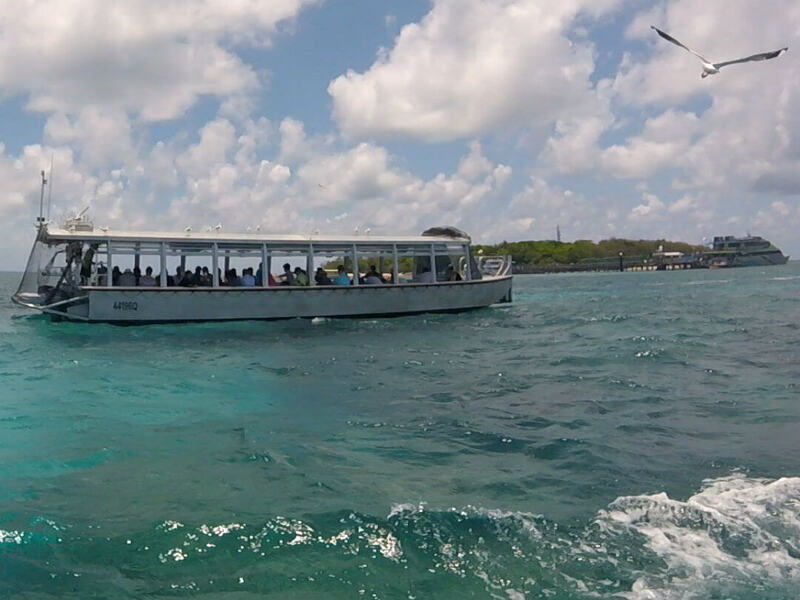 Jump on a boat and go diving on the outer reef or spend a day exploring the nearby islands. Visit local farms and markets to taste the surprisingly large range of tropical fruits or go on an interpretive rainforest walk to see some of these amazing fruits growing in the wild. 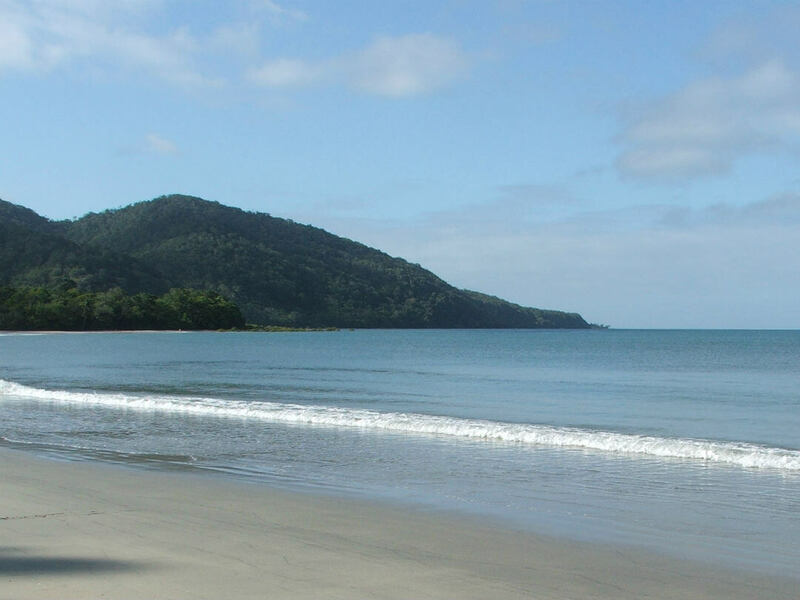 There’s just so much to do at Cape Tribulation! Want to find out more about Cairns? 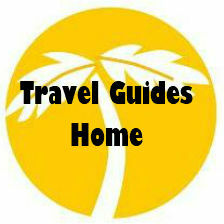 See our Cairns things to do Travel guide. When people visit Cairns, they are either coming for the Great Barrier Reef or the World Heritage listed Daintree. This spectacular wonder of nature is definitely a feature not to be missed! Located only an hour north of Cairns, the Daintree Rainforest extends from the Wet Tropics of Mossman Gorge, all the way up to the pristine Cape Tribulation Daintree National Park. The Daintree is one of the very rare locations in the world where the rainforest meets the Reef and there’s nothing quite like stepping out of a cool, dark under canopy onto a sweeping open beach! This ancient living treasure is over one hundred million years old and is considered one of the world’s most significant continuous living tropical rainforests. The Daintree has been a refuge for one of the most comprehensive and diverse ecological records of flora and fauna evolution, making this one important scientific area that absolutely must be preserved for future generations. A walk through this paradise will allow you to see the planet’s largest range of endangered or threatened plant and animal species, so don’t miss it! 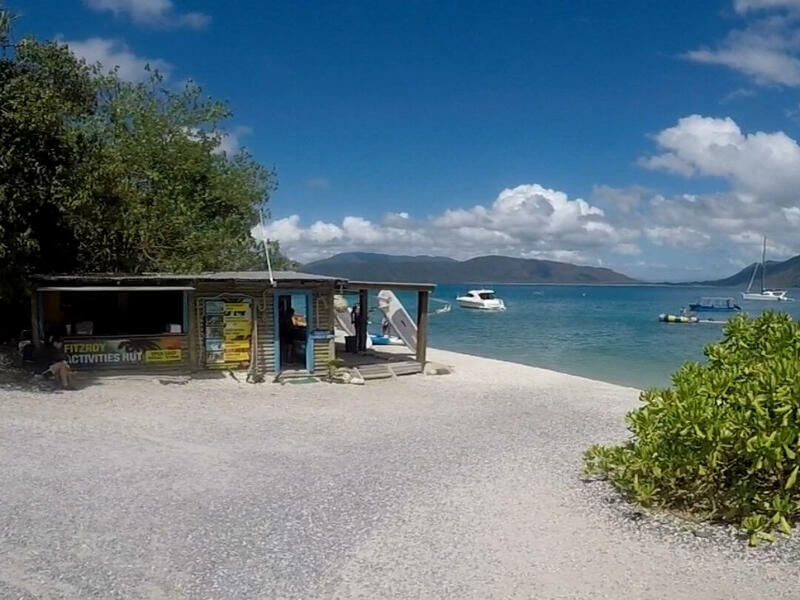 Situated about 29 km SE of Cairns is an Island that can only be described as sensational – Fitzroy Island! This large tropical oasis boasts a total of 838 acres of lush rainforest, sweeping white-sanded coral beaches and a fringe of active coral reef that has to be experienced to be believed. With a quick 45 minute ferry trip from Cairns, this protected island can be accessed for a day of aquatic fun, relaxation on the beach and tranquil walks through the four primary walking tracks that showcase the best of the rainforest and scenic lookouts. You can also indulge yourself at Fitzroy Island’s four-star resort facilities. Stay for an hour or a week, enjoying the Beach cabins, Ocean Suites, Resort Studios or even the luxurious Penthouse. Dine in a modern restaurant or café overlooking the ocean or take a dip in the pool – cocktail in hand – as you talk to the friendly locals at the swim-up bar. Fitzroy Island is also a great place to visit for those hoping to learn to dive, with introductory and certified diving and a learn-to-dive school. 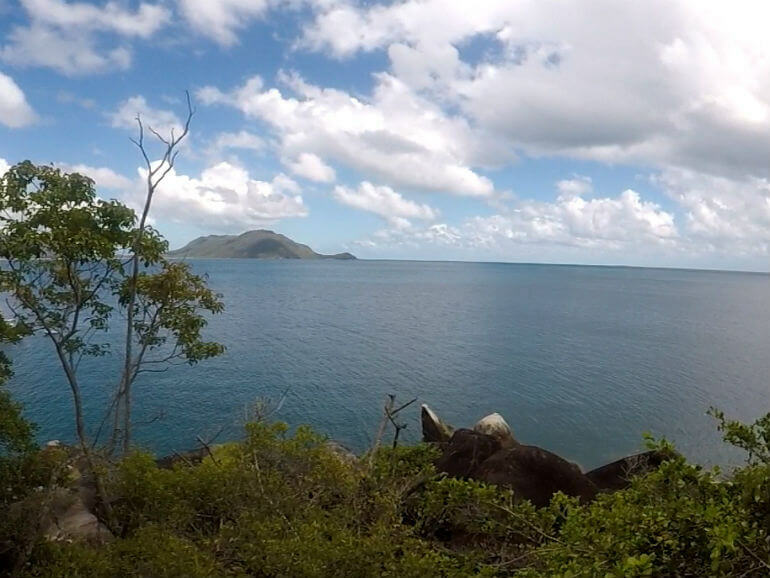 Check out our Fitzroy Island tour selection and book your trip today! The paradisaical Green Island is another unique island oasis – one of the Great Barrier Reef’s best. 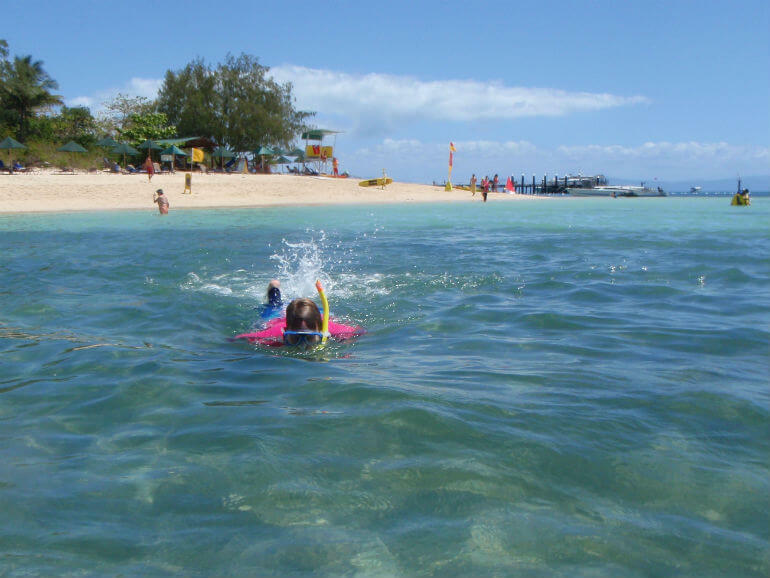 With Island activities ranging from inspirational walks through the dense tropical rainforest, relaxing in the sun on the stunning beaches to scuba diving, snorkelling and other aquatic activities – Green Island has everything. If you’d like to experience a bit of opulence, the Green Island Resort is open to all, allowing you to browse its boutique shops, take a dip in the pool, enjoy a meal in beautiful surroundings or hop in a refreshing shower after a day in the ocean. You can hire a canoe or paddle board, visit the Island’s Marineland Melanesia’s Nautical Museum or get up close to some live crocodiles! 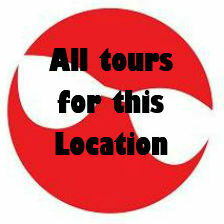 Check out our Green Island tours selection and book your trip today! 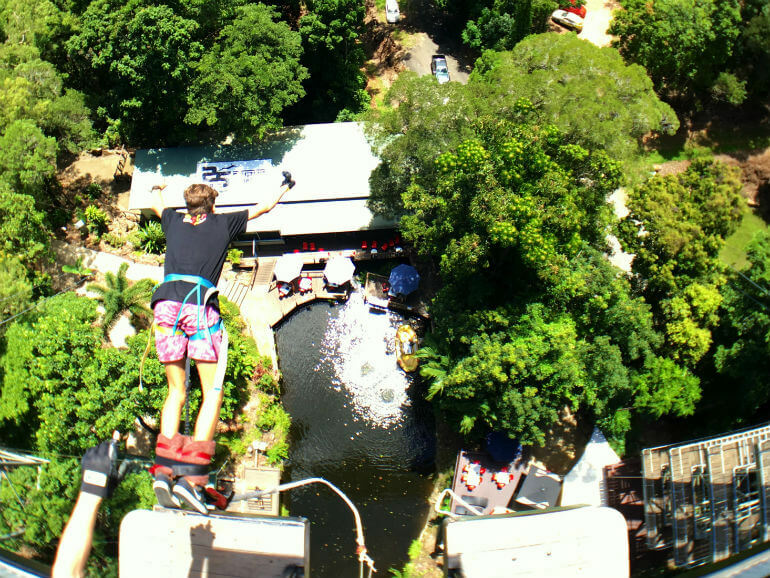 If heart-thumping action is your thing and you don’t mind defying death, Bungy Jumping in Cairns is the activity for you! Located just 20 minutes north of Cairns, the rainforest bungy tower – which was built in 1990 – was the first purpose-built bungy tower in the world. From this gorgeous location, you can choose from 16 different jumping styles – all designed to scare the hairs off your head! There’s nothing like it though – and the absolutely stunning surrounds add to the experience. Visitors can also take advantage of the amazing Minjin Jungle Swing – a 45 metre high swing that you can experience solo or with up to two friends and that will see you reaching swooping speeds of up to 120 km/hour (in about 3.5 seconds)! You’ll never look at a playground swing the same way again! 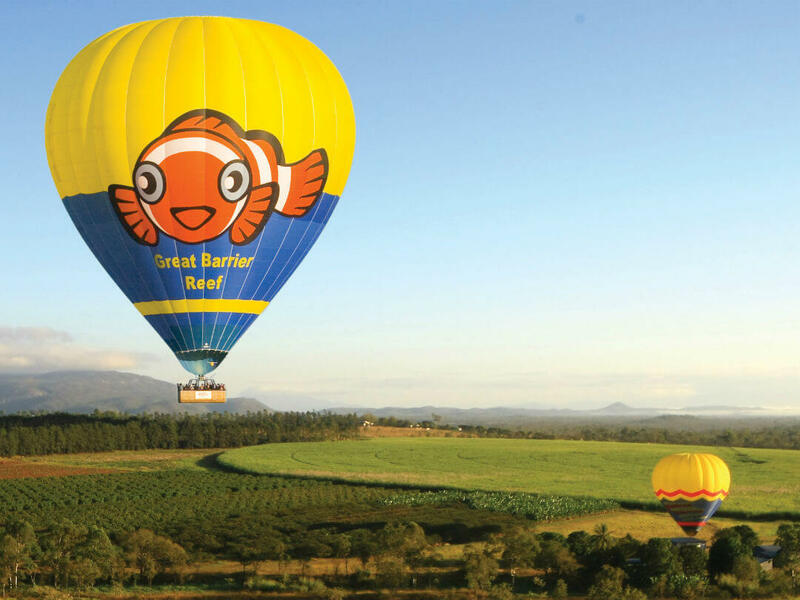 Most people have no idea that Tropical North Queensland – including Cairns – is the ballooning capital of the world! There’s good reason for this too – the scenery you’ll experience as you drift above the eclectic range of panoramic scenery is unique and simply stunning. 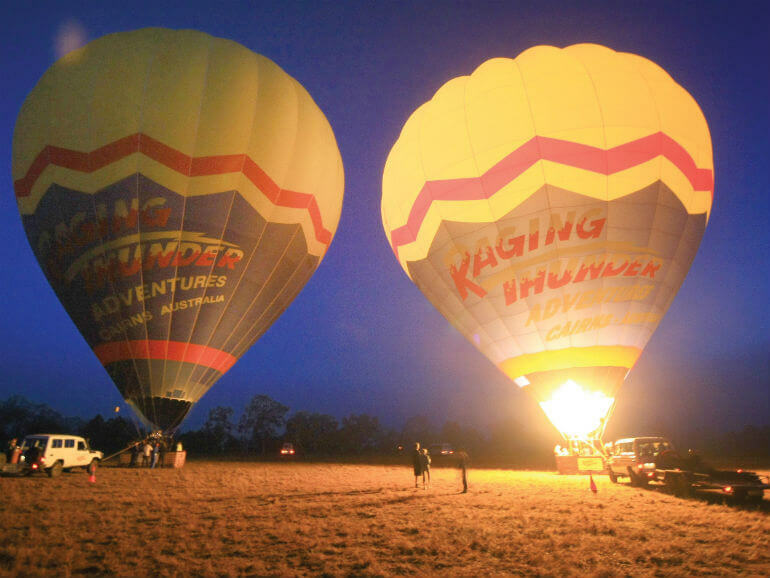 On a hot air balloon ride you’ll begin your day pre-sunrise by helping or watching the balloons being inflated. Once they are at their full capacity, you’ll hop aboard, rise above the ground and drift towards your destination. As you gaze in amazement, you’ll see the early rays of light kiss the tops of the trees, before revealing a golden vista of breathtaking beauty. Below you, the local wildlife will be going about their morning as the world awakens to a brand new day. Then, you’ll touch down and have the choice of transferring to another activity or enjoying breakfast at one of the popular local eateries. Come check out the beauty from above through a range of our Hot Air Ballooning providers. 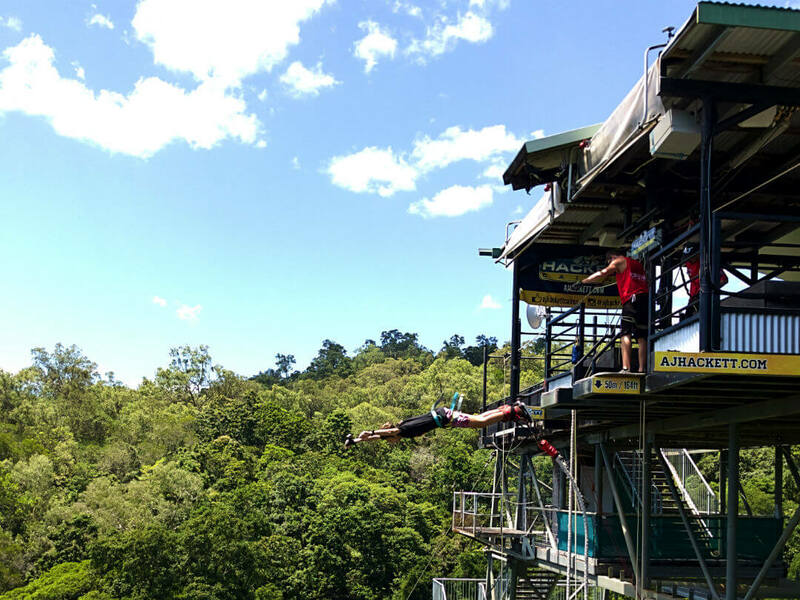 With all the attention on the Great Barrier Reef, people forget that the local rivers and streams of Cairns are just as beautiful and – thanks to Cairns’ love of adrenaline sports – just as exciting. 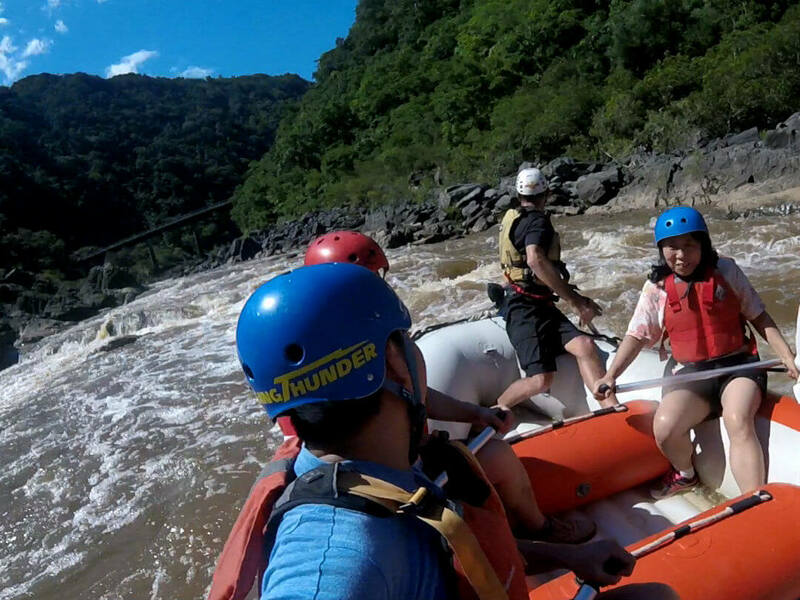 Surrounded by rainforest in some of the region’s most stunning locations, you can experience the thrill of white water rafting, with options for everybody. 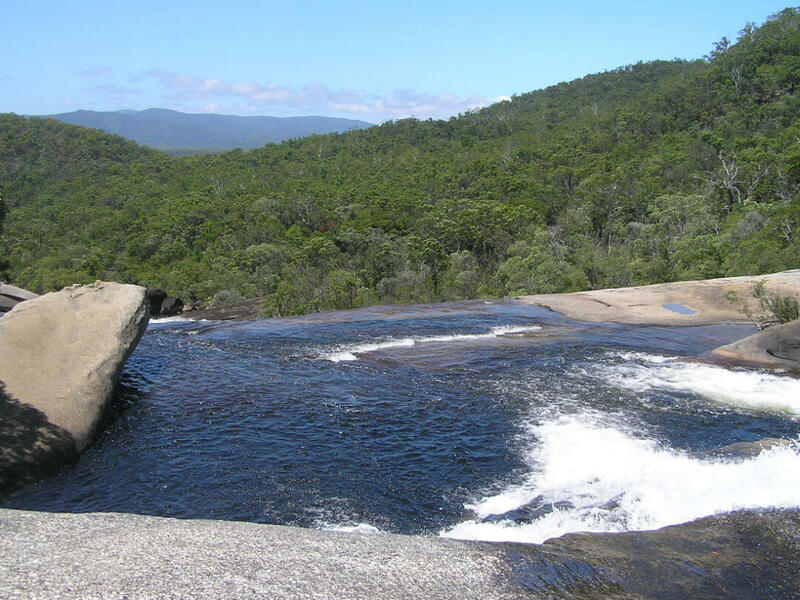 From the fairly-gentle Grade 2-3 Rapids of the Barron River to the washing machine-like Grade 3-4 Rapids of the Tully River, you can choose the level of thrills you’ll experience to suit you. 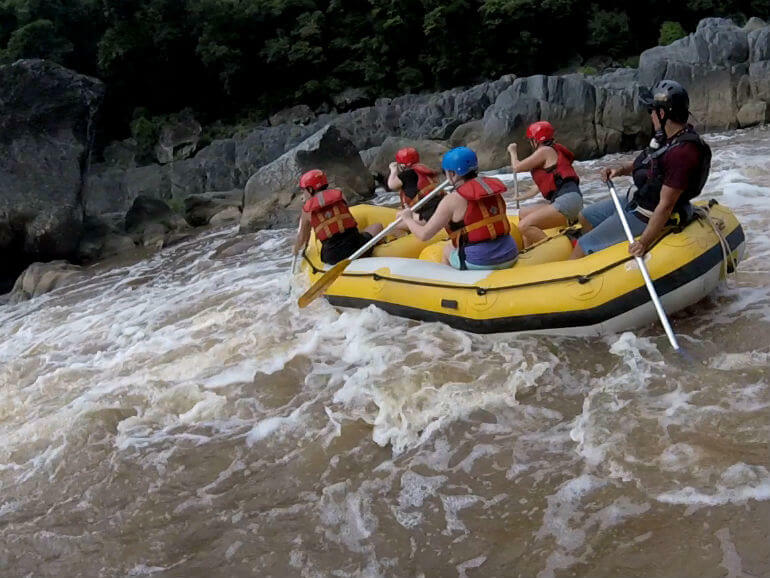 Along with sweeping down the choppy rapids and plunging down waterfalls, you’ll also have the chance to swim in calm waterholes or rapids, raft surging and cliff jumping, ensuring your day is full of a wet and wild variety of challenges. Check out our range of White Water Rafting activities, both for the Tully and Barron rivers.